GARDAÍ INVESTIGATING THE murder of father-of-three Noel Duggan in Co Meath last month are still questioning a man arrested yesterday afternoon. It’s understood detectives are questioning him in relation to vehicles used in the attack. Duggan was a close friend of Gerry ‘The Monk’ Hutch, and was known as Mr Kingsize during his cigarette smuggling days. 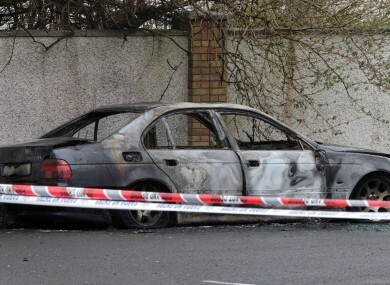 He was shot five times with a handgun as he sat in his car after pulling into the driveway in front of his home in the Old Mill housing estate in Ratoath on 23 March this year. Gardaí investigating the murder of Duggan arrested a man yesterday afternoon. The man, in his 40s, was arrested at approximately 2.30pm and is currently detained under Section 30 Offences Against the State Act, 1939 at Ashbourne Garda Station. Email “Man still being questioned over shooting of Hutch associate”. Feedback on “Man still being questioned over shooting of Hutch associate”.